Are new products failing to drive your bottom line? Are you getting enough bang for your new product innovation buck? Or should you be expecting more impact? 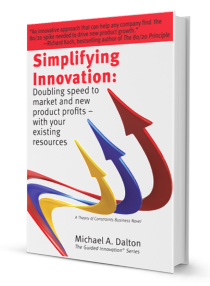 You can achieve more growth from your existing resources, with the five-step approach to continuous innovation improvement laid out in this report written by Mike Dalton. 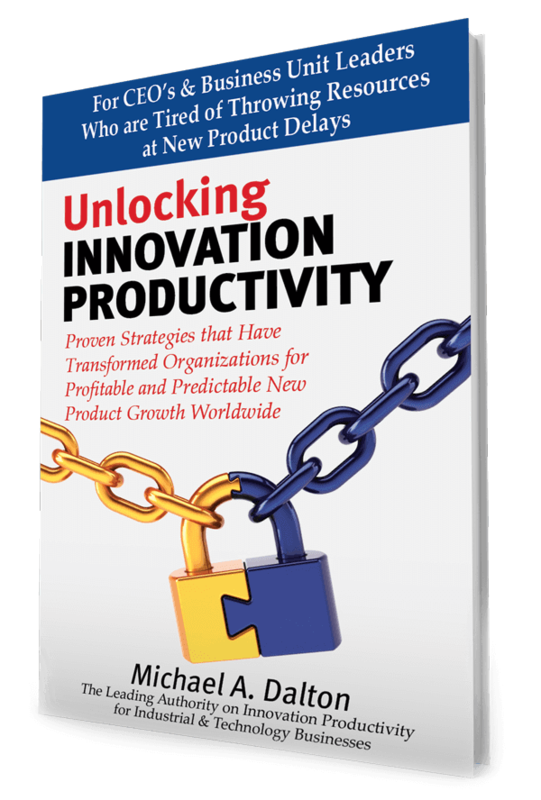 You’ll identify the bottlenecks that are constraining your new product growth and learn a host of techniques for focusing and leveraging your improvement efforts for far greater growth than you’ve experienced before. A powerful approach that you can use. Traditional improvement efforts are based on the premise that strengthening each part of the organization or each step in the process, makes the whole stronger. Unfortunately, this just ends up diluting your efforts. But our constraints based approach recognizes that processes are critical chains of interdependent activities. And the strength of a chain is not determined by the sum of its parts – but by its weakest link. To get the most out of your efforts you have to focus them where they will have the most impact: on strengthening the weakest link in your innovation chain. This report extends these constraint management concepts to the area of new product and service innovation. We’ll introduce you to five powerful focusing steps for increasing the bottom line impact of your innovation investment and show you how to apply them. They provide a powerful tool for leveraging your efforts to create growth by attacking the issues that constrain your organization. In fact, using a theory of constraints based approach delivers as much as 15 times greater improvement than traditional methods alone. You have my word on it. After requesting information, I promise you won’t be flooded with a ton of email trying to sell you something. Occasionally, we’ll notify you about a new report or a program we’ve developed. And, if you ever decide that you don’t want More Impact, you can opt out any time you choose with the unsubscribe link at the bottom of every email. Are you looking for ways to get more impact from your innovation investment? Our bimonthly email newsletter, written and edited by Mike Dalton, is packed with ideas, insights and inspiration about new product innovation: information designed to help you continually get more impact from your efforts. If you want to learn how your innovation can have more impact, simply fill out the form at the left and get your free how-to report now. And no worries – We always respect your email privacy. If you ever decide that you don’t want More Impact, you can unsubscribe anytime with the link at the bottom of any email we send.